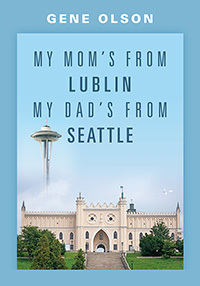 Gene Olson’s “My Mom’s from Lublin My Dad’s from Seattle” documents the vastly different childhoods of Olson’s parents. His mother was Norwegian and his dad was Swedish and living in Seattle. His in-laws were from Communist Lublin, Poland. This nostalgic and loving tribute is filled with photos and childhood memories.